Chrysler's heavily revised 2011 Town & Country gets a fresh look and a new powertrain that complement its highly versatile and spacious interior. Despite improvements under the skin, the 2011 Town & Country still doesn't feel as refined as its competitors, the Toyota Sienna and Honda Odyssey. Finally getting the world-class engine it deserves, the 2011 Chrysler Town & Country is a good bet to continue its reign as the top-selling minivan. The much-heralded Pentastar V6 engine keeps the 2011 Town & Country in the hunt against surprisingly powerful vans from Honda and Toyota, while the tastefully updated interior and exterior styling clearly conveys Chrysler's new brand image. Despite great strides dynamically, the revised Town & Country still lags behind the ultra-slick (though more expensive) Sienna and Odyssey. 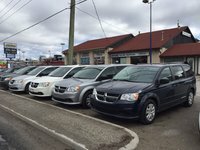 As the upscale twin of the mainstream Dodge Caravan, the 2011 Chrysler Town & Country offers traditional minivan virtues like space and safety, plus a little luxury for the hedonist in all of us. 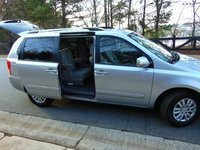 Seating for seven passengers is provided, and the 2011 Town & Country's innovative Stow 'n Go seating arrangement remains the industry benchmark for versatility and user-friendliness. Though still short of the admittedly high bar set by the razor-sharp Odyssey, the 2011 Town & Country's driving dynamics reflect significant improvement. Its all-new engine and transmission package, implemented across the Chrysler lineup this year, endows the 2011 Town & Country with sprightly acceleration, while the revised suspension results in a tangible improvement in ride and handling. An all-new dashboard and instrument panel distinguish the 2011 Town & Country's interior. Three trim levels are offered. The base Town & Country Touring offers standard power-adjustable pedals, keyless entry and rear-seat air conditioning. Stepping up to the Touring L trim nets buyers a leather interior, remote start and a power passenger seat, while the top-dog Town & Country Limited features xenon lights, heated seats and steering wheel, and GPS navigation. 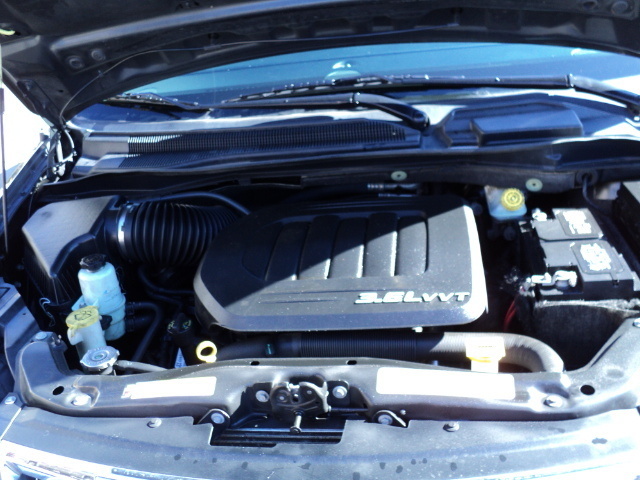 Under the hood, the 2011 Town & Country benefits greatly from an all-new 3.6-liter V6 engine. The so-called Pentastar six is very modern, featuring all-aluminum construction and variable valve timing. With 283 hp and 260 lb-ft of torque, the new V6 not only makes significantly more power than the old pushrod six, but also operates with far less noise and vibration. Though overall powertrain refinement still lags behind Honda and Toyota, the 2011 Town & Country feels energized by its new motor. All 2011 Town & Countrys are front-wheel drive, sending power to the wheels via a new 6-speed automatic transmission. The gearbox is transparently smooth and quick-thinking, serving up crisp, well-timed shifts. Yet Chrysler's refusal to offer all-wheel drive, essentially ceding that market to Toyota's Sienna, is perplexing. While no minivan can truly be described as fun to drive, the 2011 Town & Country makes great strides in smoothness and comfort compared to its predecessor. Revised damper settings for the independent front suspension make the 2011 Town & Country feel quite plush on the highway. The low-effort steering is rather numb but makes parking or negotiating tight spaces a breeze. The downside of the Town & Country's pillowy highway ride is a pronounced wallow when pushed hard. Though the minivan segment doesn't focus on performance, there's no excuse for Chrysler's engineers to have made the 2011 Town & Country such a marshmallow. Honda's Odyssey, clearly the gold standard for handling in this category, sells quite well with a firm, sporty suspension and provides a small degree of driver involvement for moms on the way to soccer practice. One area where Chrysler has never relinquished its early lead over the competition is interior packaging efficiency. Like other minivans, the 2011 Town & Country features an amazing amount of interior volume. What sets it apart, however, is Chrysler's innovative Stow 'n Go seating arrangement, which allows both rows of rear seats to fold flat into the floor with minimal effort. For those used to wrestling with heavy seats that need to be removed to gain a flat load floor, Stow 'n Go is a blessing. This year's redesign lavishes some attention on the Town & Country's formerly dour interior. A new dash and steering wheel give a modern, artsy look, while the vastly upgraded cabin materials feel soft to the touch and finally bring the Chrysler's cabin in line with the competition. All Town & Countrys feature power accessories, remote keyless entry, a CD stereo with satellite radio and a power driver's seat. 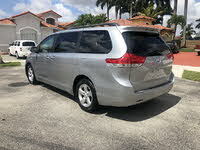 The midlevel Touring L trim adds leather seats, a power passenger's seat, remote start and 17-inch alloy wheels, while the luxurious Town & Country Limited offers standard navigation, heated memory seats and, in a boon to kids everywhere, satellite TV that can receive live Nickelodeon and Disney Channel broadcasts on the go. Given the precious cargo that they usually carry, safety is a big deal for minivans. The Town & Country has earned a reputation for meeting exceptionally high standards for occupant protection, and the 2011 model is no different. With front, side and curtain airbags, plus standard ABS and stability control, the 2011 Town & Country has both passive and active safety covered. Though not yet evaluated according to the government's rigorous new impact standards, the 2011 Town & Country has earned the Insurance Institute for Highway Safety's best rating of Good in its offset frontal crash test. Town & Country owners are effusive in their praise for their van's passenger and cargo hauling talents. The Stow 'n Go seating is universally loved, and the overall ease with which the Town & Country goes about its business is unmatched among the competition. Criticisms of the Town & Country's formerly tepid powertrain should be addressed this year with the new engine, though worries about quality and warranty repairs appear to linger on, with some customers complaining that they spend too much time in the dealer's service waiting room. What's your take on the 2011 Chrysler Town & Country? Users ranked 2011 Chrysler Town & Country against other cars which they drove/owned. Each ranking was based on 9 categories. Here is the summary of top rankings. 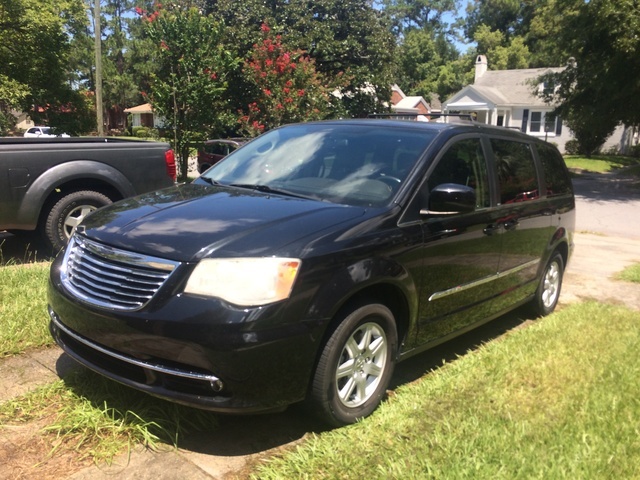 Have you driven a 2011 Chrysler Town & Country? Super console 2011 Chrysler town and country, removed console. Is there a way to remove track in floor? Where is it located on my 2011 Town & Country ?